1 A None No Power Seat 1 A has a lot of extra legroom, though the proximity of the lavatory and galley be bothersome. There is no floor storage for these seats during takeoff and landing. 1 B None No Power Seat 1 B has a lot of extra legroom, though the proximity of the lavatory and galley be bothersome. There is no floor storage for these seats during takeoff and landing. 1 D None No Power Seat 1 D has a lot of extra legroom, though the proximity of the lavatory and galley be bothersome. There is no floor storage for these seats during takeoff and landing. 1 G None No Power Seat 1 G has a lot of extra legroom, though the proximity of the lavatory and galley be bothersome. There is no floor storage for these seats during takeoff and landing. 1 H None No Power Seat 1 H has a lot of extra legroom, though the proximity of the lavatory and galley be bothersome. There is no floor storage for these seats during takeoff and landing. 1 J None No Power Seat 1 J has a lot of extra legroom, though the proximity of the lavatory and galley be bothersome. There is no floor storage for these seats during takeoff and landing. 10 A None No Power Seat 10 A has extra legroom due to the bulkhead separating World Business Class and Economy Class. The tray tables are in the armrests making the armrests immovable and slightly reducing seat width. The seat is in the Economy Comfort Zone and is available for selection for an additional fee. 10 B None No Power Seat 10 B has extra legroom due to the bulkhead separating World Business Class and Economy Class. The tray tables are in the armrests making the armrests immovable and slightly reducing seat width. The seat is in the Economy Comfort Zone and is available for selection for an additional fee. 10 D None No Power Seat 10 D has extra legroom due to the bulkhead separating World Business Class and Economy Class. The tray tables are in the armrests making the armrests immovable and slightly reducing seat width. The seat is in the Economy Comfort Zone and is available for selection for an additional fee. 10 E None No Power Seat 10 E has extra legroom due to the bulkhead separating World Business Class and Economy Class. The tray tables are in the armrests making the armrests immovable and slightly reducing seat width. The seat is in the Economy Comfort Zone and is available for selection for an additional fee. 10 G None No Power Seat 10 G has extra legroom due to the bulkhead separating World Business Class and Economy Class. The tray tables are in the armrests making the armrests immovable and slightly reducing seat width. The seat is in the Economy Comfort Zone and is available for selection for an additional fee. 10 H None No Power Seat 10 H has extra legroom due to the bulkhead separating World Business Class and Economy Class. The tray tables are in the armrests making the armrests immovable and slightly reducing seat width. The seat is in the Economy Comfort Zone and is available for selection for an additional fee. 10 J None No Power Seat 10 J has extra legroom due to the bulkhead separating World Business Class and Economy Class. The tray tables are in the armrests making the armrests immovable and slightly reducing seat width. The seat is in the Economy Comfort Zone and is available for selection for an additional fee. 11 A None No Power Seat 11 A is a standard Economy Comfort seat. The seat is in the Economy Comfort Zone and is available for selection for an additional fee. 11 B None No Power Seat 11 B is a standard Economy Comfort seat. The seat is in the Economy Comfort Zone and is available for selection for an additional fee. 11 D None No Power Seat 11 D has extra legroom due to the 3-seat configuration in the row ahead. Some passengers may complain that their feet are bumped during flight as leg space is in the aisle. The seat is in the Economy Comfort Zone and is available for selection for an additional fee. 11 E None No Power Seat 11 Eis misaligned with the row ahead, making legroom limited. The tray tables are in the armrests, making the armrests immovable and slightly reducing seat width. The personal TV screens are on the seatbacks of row 10, which are misaligned with this row can make viewing the screens difficult. The seat is in the Economy Comfort Zone and is available for selection for an additional fee. 11 F None No Power Seat 11 Fis misaligned with the row ahead, making legroom limited. The tray tables are in the armrests, making the armrests immovable and slightly reducing seat width. The personal TV screens are on the seatbacks of row 10, which are misaligned with this row can make viewing the screens difficult. The seat is in the Economy Comfort Zone and is available for selection for an additional fee. 11 G None No Power Seat 11 G has extra legroom due to the 3-seat configuration in the row ahead. Some passengers may complain that their feet are bumped during flight as leg space is in the aisle. 11 H None No Power Seat 11 H is a standard Economy Comfort seat. The seat is in the Economy Comfort Zone and is available for selection for an additional fee. 11 J None No Power Seat 11 J is a standard Economy Comfort seat. The seat is in the Economy Comfort Zone and is available for selection for an additional fee. 12 A None No Power Seat 12 A is a standard Economy Comfort seat. The seat is in the Economy Comfort Zone and is available for selection for an additional fee. 12 B None No Power Seat 12 B is a standard Economy Comfort seat. The seat is in the Economy Comfort Zone and is available for selection for an additional fee. 12 D None No Power Seat 12 D is a standard Economy Comfort seat. The seat is in the Economy Comfort Zone and is available for selection for an additional fee. 12 E None No Power Seat 12 E is a standard Economy Comfort seat. The seat is in the Economy Comfort Zone and is available for selection for an additional fee. 12 F None No Power Seat 12 F is a standard Economy Comfort seat. The seat is in the Economy Comfort Zone and is available for selection for an additional fee. 12 G None No Power Seat 12 G is a standard Economy Comfort seat. The seat is in the Economy Comfort Zone and is available for selection for an additional fee. 12 H None No Power Seat 12 H is a standard Economy Comfort seat. The seat is in the Economy Comfort Zone and is available for selection for an additional fee. 12 J None No Power Seat 12 J is a standard Economy Comfort seat. The seat is in the Economy Comfort Zone and is available for selection for an additional fee. 14 A None No Power Seat 14 A is a standard Economy Comfort seat. The seat is in the Economy Comfort Zone and is available for selection for an additional fee. 14 B None No Power Seat 14 B is a standard Economy Comfort seat. The seat is in the Economy Comfort Zone and is available for selection for an additional fee. 14 D None No Power Seat 14 D is a standard Economy Comfort seat. The seat is in the Economy Comfort Zone and is available for selection for an additional fee. 14 E None No Power Seat 14 E is a standard Economy Comfort seat. The seat is in the Economy Comfort Zone and is available for selection for an additional fee. 14 F None No Power Seat 14 F is a standard Economy Comfort seat. The seat is in the Economy Comfort Zone and is available for selection for an additional fee. 14 G None No Power Seat 14 G is a standard Economy Comfort seat. The seat is in the Economy Comfort Zone and is available for selection for an additional fee. 14 H None No Power Seat 14 H is a standard Economy Comfort seat. The seat is in the Economy Comfort Zone and is available for selection for an additional fee. 14 J None No Power Seat 14 J is a standard Economy Comfort seat. The seat is in the Economy Comfort Zone and is available for selection for an additional fee. 15 A None No Power Seat 15 A is a standard Economy Comfort seat. The seat is in the Economy Comfort Zone and is available for selection for an additional fee. 15 B None No Power Seat 15 B is a standard Economy Comfort seat. The seat is in the Economy Comfort Zone and is available for selection for an additional fee. 15 H None No Power Seat 15 H is a standard Economy Comfort seat. The seat is in the Economy Comfort Zone and is available for selection for an additional fee. 15 J None No Power Seat 15 J is a standard Economy Comfort seat. The seat is in the Economy Comfort Zone and is available for selection for an additional fee. 16 A None No Power Seat 16 A is an Economy seat that may have restricted space due to the extra-reclining Economy Comfort seats ahead. 16 B None No Power Seat 16 B is an Economy seat that may have restricted space due to the extra-reclining Economy Comfort seats ahead. 16 H None No Power Seat 16 H is an Economy seat that may have restricted space due to the extra-reclining Economy Comfort seats ahead. 16 J None No Power Seat 16 J is an Economy seat that may have restricted space due to the extra-reclining Economy Comfort seats ahead. 2 B None No Power Seat 2 B is a standard World Business seat. 2 J None No Power Seat 2 J is a standard World Business seat. 23 D None No Power Seat 23 D may have limited recline and close proximity to the lavatories may be bothersome. 23 E None No Power Seat 23 E may have limited recline and close proximity to the lavatories may be bothersome. 23 F None No Power Seat 23 F may have limited recline and close proximity to the lavatories may be bothersome. 23 G None No Power Seat 23 G may have limited recline and close proximity to the lavatories may be bothersome. 24 A None No Power Seat 24 A may have limited recline and close proximity to the lavatories may be bothersome. 24 B None No Power Seat 24 B may have limited recline and close proximity to the lavatories may be bothersome. 24 H None No Power Seat 24 H may have limited recline and close proximity to the lavatories may be bothersome. 24 J None No Power Seat 24 J may have limited recline and close proximity to the lavatories may be bothersome. 3 B None No Power Seat 3 B is a standard World Business seat. 3 D None No Power Seat 3 D is a standard World Business seat, however it is located in the last row of World Business Class so some passengers find the noise from the galley to be bothersome. 3 G None No Power Seat 3 G is a standard World Business seat, however it is located in the last row of World Business Class so some passengers find the noise from the galley to be bothersome. 3 H None No Power Seat 3 H is a standard World Business seat, however it is located in the last row of World Business Class so some passengers find the noise from the galley to be bothersome. 3 J None No Power Seat 3 J is a standard World Business seat, however it is located in the last row of World Business Class so some passengers find the noise from the galley to be bothersome. 30 A None No Power Seat 30 A is a preferred seat and KLM charges an additional fee to sit here. The seat has extra legroom due to the exit row. The tray tables are in the armrests, making the armrests immovable and slightly reducing seat width. There is no floor storage for these seats during takeoff and landing. It can get very cold by the exits during flight. The proximity of the lavatories can be bothersome because passengers often congregate in the area in front of this row during flight. 30 B None No Power Seat 30 B is a preferred seat and KLM charges an additional fee to sit here. The seat has extra legroom due to the exit row. The tray tables are in the armrests, making the armrests immovable and slightly reducing seat width. There is no floor storage for these seats during takeoff and landing. It can get very cold by the exits during flight. The proximity of the lavatories can be bothersome because passengers often congregate in the area in front of this row during flight. 30 D None No Power Seat 30 D is a standard bulkhead economy seat and many find legroom to be restricted. The proximity of the lavatories may be bothersome. The tray tables and personal TVs are in the armrests, making the armrests immovable and slightly reducing seat width. There is no floor storage for these seats during takeoff and landing. This is also a bassinet location and passengers traveling with infants may be seated in this area. 30 E None No Power Seat 30 E is a standard bulkhead economy seat and many find legroom to be restricted. The proximity of the lavatories may be bothersome. The tray tables and personal TVs are in the armrests, making the armrests immovable and slightly reducing seat width. There is no floor storage for these seats during takeoff and landing. This is also a bassinet location and passengers traveling with infants may be seated in this area. 30 F None No Power Seat 30 F is a standard bulkhead economy seat and many find legroom to be restricted. The proximity of the lavatories may be bothersome. The tray tables and personal TVs are in the armrests, making the armrests immovable and slightly reducing seat width. There is no floor storage for these seats during takeoff and landing. This is also a bassinet location and passengers traveling with infants may be seated in this area. 30 G None No Power Seat 30 G is a standard bulkhead economy seat and many find legroom to be restricted. The proximity of the lavatories may be bothersome. The tray tables and personal TVs are in the armrests, making the armrests immovable and slightly reducing seat width. There is no floor storage for these seats during takeoff and landing. This is also a bassinet location and passengers traveling with infants may be seated in this area. 30 H None No Power Seat 30 H is a preferred seat and KLM charges an additional fee to sit here. The seat has extra legroom due to the exit row. The tray tables are in the armrests, making the armrests immovable and slightly reducing seat width. There is no floor storage for these seats during takeoff and landing. It can get very cold by the exits during flight. The proximity of the lavatories can be bothersome because passengers often congregate in the area in front of this row during flight. 30 J None No Power Seat 30 J is a preferred seat and KLM charges an additional fee to sit here. The seat has extra legroom due to the exit row. The tray tables are in the armrests, making the armrests immovable and slightly reducing seat width. There is no floor storage for these seats during takeoff and landing. It can get very cold by the exits during flight. The proximity of the lavatories can be bothersome because passengers often congregate in the area in front of this row during flight. 39 A None No Power Seat 39 A can feel cramped due to the curvature of the fuselage at the back of the plane. This seat also has a metal box (video equipment) under the seat in front of you slightly limiting your legroom. 39 B None No Power Seat 39 B can feel cramped due to the curvature of the fuselage at the back of the plane. 39 D None No Power Seat 39 D is a standard Economy seat however, other flyers tend to bump into this seat. 39 G None No Power Seat 39 G is a standard Economy seat however, other flyers tend to bump into this seat. 39 H None No Power Seat 39 H can feel cramped due to the curvature of the fuselage at the back of the plane. 39 J None No Power Seat 39 J can feel cramped due to the curvature of the fuselage at the back of the plane. This seat also has a metal box (video equipment) under the seat in front of you slightly limiting your legroom. 40 A None No Power Seat 40 A can feel cramped due to the curvature of the fuselage at the back of the plane. This seat also has a metal box (video equipment) under the seat in front of you slightly limiting your legroom. 40 B None No Power Seat 40 B can feel cramped due to the curvature of the fuselage at the back of the plane. 40 D None No Power Seat 40 D is misaligned with the row ahead so legroom is restricted. 40 E None No Power Seat 40 E is misaligned with the row ahead so legroom is restricted. 40 G None No Power Seat 40 G is misaligned with the row ahead so legroom is restricted. 40 H None No Power Seat 40 H can feel cramped due to the curvature of the fuselage at the back of the plane. 40 J None No Power Seat 40 J can feel cramped due to the curvature of the fuselage at the back of the plane. This seat also has a metal box (video equipment) under the seat in front of you slightly limiting your legroom. 41 A None No Power Seat 41 A can feel cramped due to the curvature of the fuselage at the back of the plane. This seat also has a metal box (video equipment) under the seat in front of you slightly limiting your legroom. 41 B None No Power Seat 41 B can feel cramped due to the curvature of the fuselage at the back of the plane. 41 H None No Power Seat 41 H can feel cramped due to the curvature of the fuselage at the back of the plane. 41 J None No Power Seat 41 J can feel cramped due to the curvature of the fuselage at the back of the plane. This seat also has a metal box (video equipment) under the seat in front of you slightly limiting your legroom. 42 A None No Power Seat 42 A is located in the last row of Economy. Recline may be limited. Proximity to the lavatory and galley may be bothersome. 42 B None No Power Seat 42 B is located in the last row of Economy. Recline may be limited. Proximity to the lavatory and galley may be bothersome. 42 D None No Power Seat 42 D is a standard Economy seat, although proximity to the lavatory and galley may be bothersome. 42 G None No Power Seat 42 G is a standard Economy seat, although proximity to the galley may be bothersome. This seat has limited leg and storage room due to the presence of the entertainment box underneath the seat. 42 H None No Power Seat 42 H can feel cramped due to the curvature of the fuselage at the back of the plane. 42 J None No Power Seat 42 J can feel cramped due to the curvature of the fuselage at the back of the plane. This seat also has a metal box (video equipment) under the seat in front of you slightly limiting your legroom. 43 D None No Power Seat 43 D is located in the last row of Economy. Recline may be limited. Proximity to the lavatory and galley may be bothersome. 43 E None No Power Seat 43 E is located in the last row of Economy. Recline may be limited. Proximity to the lavatory and galley may be bothersome. 43 G None No Power Seat 43 G is located in the last row of Economy. Recline may be limited. Proximity to the lavatory and galley may be bothersome. 43 H None No Power Seat 43 H is located in the last row of Economy. Recline may be limited. Proximity to the lavatory and galley may be bothersome. 43 J None No Power Seat 43 J is located in the last row of Economy. Recline may be limited. Proximity to the lavatory and galley may be bothersome. 6 A None No Power Seat 6 A has a lot of extra legroom due to the exit row. The proximity of the galley can be bothersome. Passengers find the light on night flights to be especially bothersome. 6 B None No Power Seat 6 B has a lot of extra legroom due to the exit row. The proximity of the galley can be bothersome. Passengers find the light on night flights to be especially bothersome. 6 D None No Power Seat 6 D has a lot of extra legroom due to the location of the bulkhead. The proximity of the galley can be bothersome. Passengers find the light on night flights to be especially bothersome. 6 G None No Power Seat 6 G has a lot of extra legroom due to the location of the bulkhead. The proximity of the galley can be bothersome. Passengers find the light on night flights to be especially bothersome. 6 H None No Power Seat 6 H has a lot of extra legroom due to the exit row. The proximity of the galley can be bothersome. Passengers find the light on night flights to be especially bothersome. 6 J None No Power Seat 6 J has a lot of extra legroom due to the exit row. The proximity of the galley can be bothersome. Passengers find the light on night flights to be especially bothersome. 7 B None No Power Seat 7 B is a standard World Business seat. 7 H None No Power Seat 7 H is a standard World Business seat. 7 J None No Power Seat 7 J is a standard World Business seat. Passengers flying in World Business can connect to AC power connections. 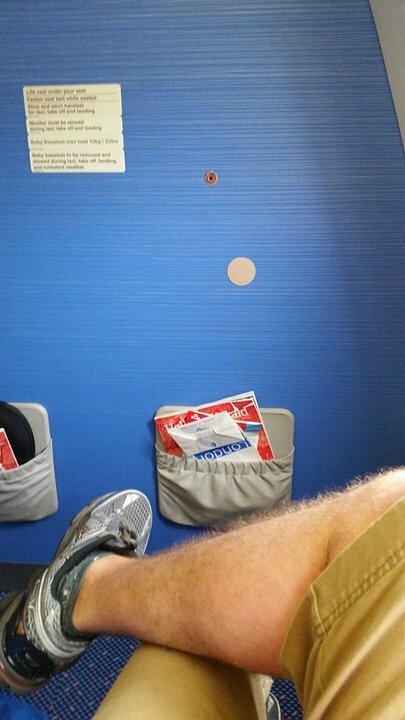 KLM added several rows of Economy Comfort seats. Platinum Flying Blue members and passengers with fully flexible Economy tickets pay nothing extra for an Economy Comfort seat. Flying Blue Gold members receive a 50% discount and Flying Blue Silver members pay 25% less. Please note and beware, an inflight entertainment equipment box blocks your under-seat room in Economy Class seats A, D, G, and J.
I had a chance to sit both on 21A and 21B. So, as it is indicated, sit 21 A has the entertainment box, which makes it almost impossible to fit both feet under the seat, which is why I believe those seats must be marked in yellow at least. The experience you have on 21A and 21B is completely different. The cabin itself is outdated and in my opinion is not good enough for long haul international flights. Entertainment system does not have USB, the screen's resolution is very low which makes it really hard to watch anything. The seat configuration, for the middle seats in row 7 are terrible. In the middle section, there are 3 seats in row 6 and 4 in row 7 and they center the row 6 seats on the armrests of row 7, meaning that you look at an angle at the video monitor, making it hard to see especially since they are the old smaller video screens and it has the armrest trays. Also, the armrest are locked because of this so you can't raise them to provide more room. The end seats 7D and 7G are exit row type seats so they have the armrest TV monitor and tray plus the solid armrests that make the seat more narrow. It you are wider, you want to avoid this seat since the controller is also in the inside of the armrest and jab your hip the whole ride...making it a painful 7 hour trip from Monrovia to Amsterdam. Overall the worst row in the plane and you pay extra for it. You are better off sitting in the row behind it or in standard economy. Flight AMS to Abu Dhabi, operated by KLM. Seat quite narrow, certainly with passenger of size sitting next to me. Seat very uncomfortable after a few hours, lack of support. Metal entertainment box under seat in front of me takes away 15% of leg space. Entertainment system stems from 20th century and is completely outdated. Didn't work for the first hour of the flight; resolution worse than a 10 year old phone. No response from flight attendant to service call. Poor quality of food. I am a proud Dutchman, but Why would you still fly KLM when you get a better service for a lower rate at Asian and ME airlines. These seats are the worst business class seats I have seen in a long time. I an 74" and the seat is listed as 75". It is not; maybe 72". 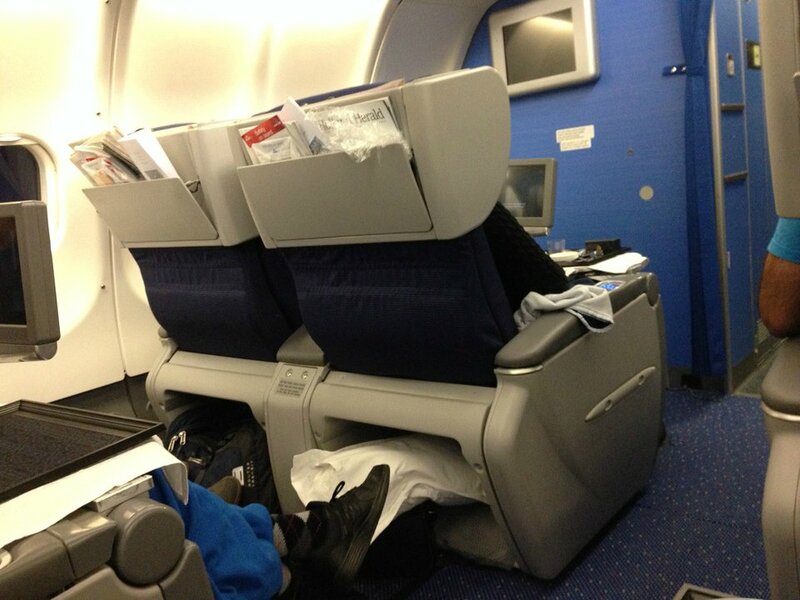 Also KLM calls them flat bed seats in World Business Class and they are not flat. Seatguru shows them as 170 degrees. I think it is even less. It sounds ridiculous but I had a better seat on United 2 months ago. This economy comfort seat was well worth the extra money for the additional leg room. Seat width is 18", so have to love the A330 compared to the 787 with 17.3" seats. The curve of the cabin causes the entertainment box to consume about half the leg room. Literally the very worst seats the wife and I have ever sat in with dozens of long hauls. These seats are also somehow more narrow than any other seats we have ever sat in, had to keep armrest up between us. Have had a better ride on a prop plane to a dirt landing strip. Easily the worst seat I've ever had, although the flight was generally pleasant. At some point during the flight, when there's people waiting for the bathroom, you'll have their arms in your face. Recline is very, very limited. Be aware that almost all window seat (seats A and J) in Economy and Comfort Economy have the box for the inflight entertainment under the seat in front of you. This box takes approx 30% of the available space for you feet. Seats B and H don't have this. Probably this is also the case with the middle rows but I don't know which seats. This is the worst business class seat I have ever had the misfortune to use. It isn't just this seat but all in this plane's Business Class. The plane was old and tatty with screens in the arms and the worst was that the seats weren't anywhere near flat and I kept sliding down - I am 5'6" and found it unbelievably uncomfortable, don't know how anyone taller would manage - hell for them I would imagine. The whole flight had no impression of being business and not only was it impossible to sleep in the terrible seats, but the noise from the crew crashing and bashing all the time added to the torture. I have flown on other airlines in economy with better service and comfort. The food was very poor and both I and my travelling companion had food poising just hours after the flight - seems a bit of a coincidence. Very old style business seat that was already outdated when the aircraft was delivered in 2006, KLM will go to the new flat bed seat for the A332 in '17/'18. Acceptable for a day flight, aircraft is quiet and seat is comfortable and relatively wide. Sleeping would be hell, very little privacy. Slow IFE with low quality screen that is stowed in the armrest so unavailable during takeoff and landing. 26-Jan-2017 flying from AMS to YVR, the row #30 is the only row has extra leg room for economic class. Seat is very narrow, inconvenient to eat meals, lots of noise and cry from babies, couldn't rest. But for long hours fly, I still take this seat. I am 178cm. Very pleasent flight, friendly crew. I was in a very spacious and comfortable seat. Upgrade to business class was not possible in advance and the charge on board would have been very overpriced, seeing that business class was basically empty. 6H is slightly in the pathway of the trolleys, meaning you get continuously bumped into by the somewhat clumsy KLM stewardesses. Also, the seats are old and uncomfortable with a feeling of constantly sliding down. Row 38 on this flight is the first in line for food and drinks. 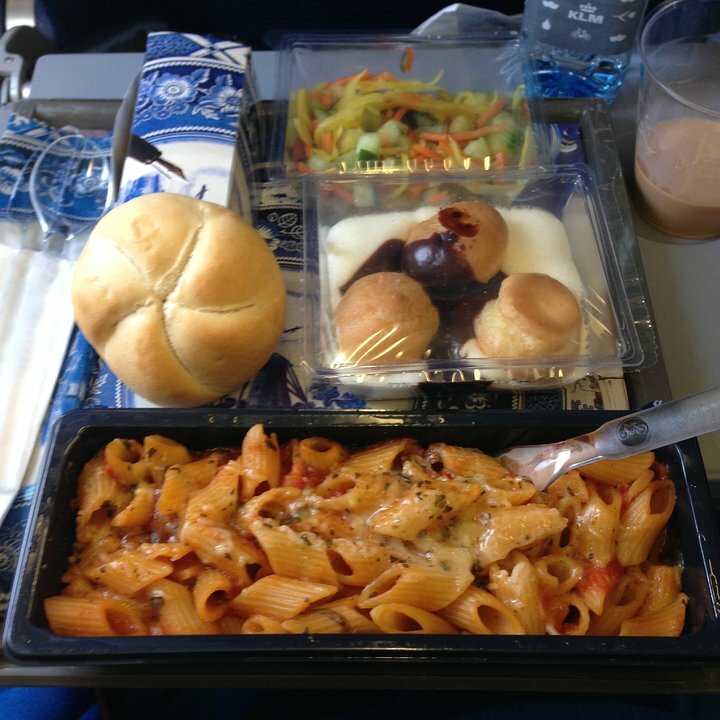 By them time you're done with your meal, the people in row 39 are barely getting served. There is a metal box under the seat in front. You have to place your feet to the left of the box. Quite uncomfortable on a long flight. Flight from Amsterdam to Luanda, Metal box under seat 30A in front of me, unable to stretch both legs out making this very uncomfortable during the 8-1/2 hours flight, during the flight. TV screen very small and not clear. Be aware with this seat. There is a big metal box under the seat in front of you. This causes very limited leg space. The seat left of it (31F) has no box. KLM's A332s are overdue for replacement or at least refurbishment. The Economony Comfort section have the same old, dirty, saggy seats as the rest, only with a slightly larger legroom. According to KLM their economy seats are "ergonomically designed". Might be, by 1990 standards. Finally, the so-called preferred seats is just an imaginary section between the standard and 'comfort' seats, nothing else. The entertainment system is a reminiscent of my first VHS player from 1986. The entertainment box is under the seat in front of you reducing leg room. This seat has a small silver box under the seat in front of it, so you loose the left side of your leg room. Flight was operated with an KLM Airbus A330-302 PH-AKB - Piazza Navona - Roma from Montreal to Amsterdam on March 20th These planes are old and outdated. Seats are back breakers. The armrest only folds 45 degrees. Horrible flight. The location is also near the section where baby bassinets are attached. We had to deal with crying babies all night. Thankfully I did not fork out the extra money for the "preferred exit row seat"30 H&J in front of me. I believe KLM is phasing these relics Airbus out and replacing them with new B787's. Cannot happen soon enough. KLM in my mind is the airline with the most incredible cabin crew in the business, but are sorely lacking in comfort for Economy class travelers. Be warned ahead of time that seats 16A and 16B and 16H and 16I are bad choices. The row directly in front is economy plus- their seats recline more and 16H has standard recline- which means you end up eating the difference when the passenger in 15H reclines. It was so bad the flight attendant asks those seated in 15H to put their seat upright during meals- otherwise you could not use your tray table. I would avoid seats in row 15 economy plus because that is not good either- who wants to pay extra money and be told you have to put the seat up. 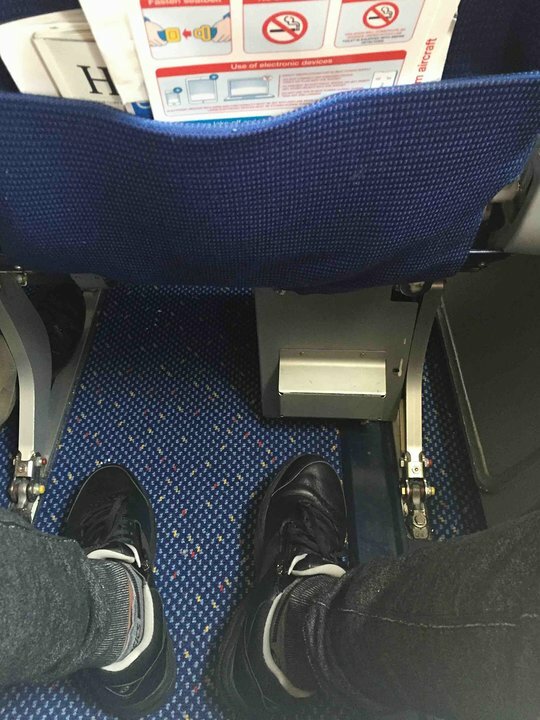 Clearly KLM should reconfigure to provide extra legroom for 16H and I to make up for the increased seat recline of row 15- this seem to be worst on the sides of the planes where there are only 2 seats. Older interior in Business class. Seats are getting old and uncomfortable. SFO to AMS; amazing how KLS makes a new Airbus A330 look and feel like something from the 1960's. The seats are angled, but do not go "flat." they are very uncomfortable. The advantage of the middle seats is that you do not have climb over anyone nor be climbed over by anyone to access the aisle. The service was very good, the food was mediocre at best. This plane is really outdated, uncomfortable with a ridiculous entertainment service. Cannot believe KLM still uses these planes, which are clearly at the level of 20 years ago services. The personal entertainment system consists of a small screen, with crappy colours, that you are not even able to watch if the seat in front of you get reclined. I really advice you all not to use this plane. A very good seat indeed, however, the lady next to me had very little leg room under seat in front of her because the video box took up half the space. I have flown many times with KLM on this route and find it very acceptable. I took this palne last week to Abu Dhabi. I expected much more from Klm. The plane was old and dirty, as it's mentioned, the IFE boxes are on the way, the food wasn't good, my seat actually was broken, and had to pushed back. BUT the crew was great, and friendly! There is a box under the seat in front which causes problems. Horribly uncomfortable plane. IFE box takes up a lot of room. Low resolution screen. Very hard seat. Overwhelmingly positive experience, traveling from Dallas/Fort Worth to Amsterdam. Groundcrew at DFW were very nice and took well care of our kids. The flight attendants were very service minded, and genuinely nice. Lunch was either pasta or rice with beef, both were very good and generous portions. Breakfast consisted of yogurt, a large bowl of fresh fruit, a fresh roll, an omelette with cheese and sausage. Filling and very good. Drinks were offered 4-5 times in between meals by attendants, and snacks were offered. Entertainment system was okay, the screen was smaller then other carriers, 6 inches by 4.5 inches, but ok resolution and good selection of ondemand tv and movies. Seat was no different then other carriers in economy class, normal cushion, standard seat pitch and width(same as SAS, United and Delta on these routes). Good seats with plenty space for your legs. Under the seat 10A is a box which takes a quarter of the legspace. We traveled from Amsterdam to Toronto on May 7, 2015.After reading the comments on this page I worried for weeks about this flight! SO UNNECESSARY! The metal box that everyone complains about was set vertically on the floor and took up very little space! The seats were not spacious but adequate and comfortable. The staff were friendly and the food was very good. All in all a positive experience! I had to write this to counter all the negative reviews on here!Don't worry like I did! I was disappointed to find that the seat in this plane is far from flat:it did not feel anything like 170 degrees recline. The galley in front of rows 6 and 7 also appears to serve seats in the economy section so there is a lot of activity and the drinks/meal service takes almost 3 hours which means limited opportunity to sleep on an overnight flight. This was a terrible seat. Very cramped, stupid big box blocking half the space under the seat in front. IFE screen was tiny, poor quality viewing. My son sat next to me, and someone had blocked his headset sockets so he could not even listen to the movies properly. Food was average at best, and they ran out of all meals except the meatballs (that didnt seem to have much meat). 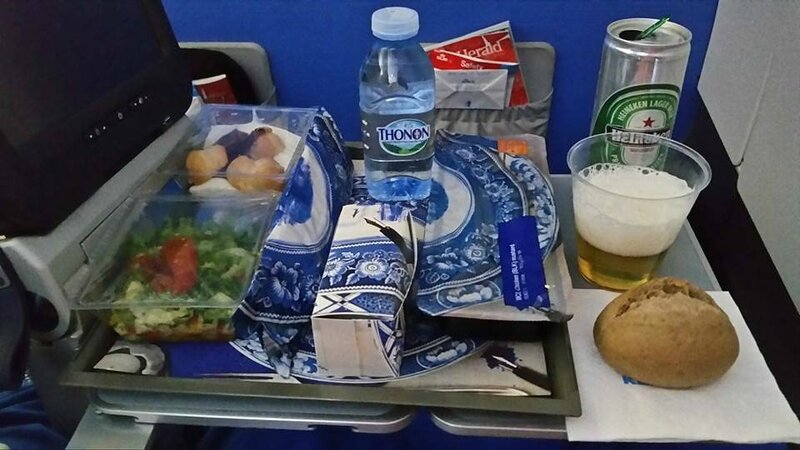 The Crew were nice and friendly, and tried to put a humurous face on the no sound/ poor foodchoice, but frankly for an airline like KLM they shouldn't have to. I thought it was the US carriers that were bottom of the airline foodchain, but KLM look to be keeping them good company. I had my first experience with KLM on this flight last week. I will never fly KLM again as they manage to put the seats so close together I could not find any comfortable way to sit, let alone sleep! I was just on a flight from Amsterdam to Calgary and I sat in seat 15G. Same limited leg room as seat 19G with a floor mounted box taking up half of the space under the seat in front. I will avoid booking any G seats on future KLM A330-200 flights. Upgraded to economy comfort. 11H and 12H. Great seats and leg room. Quiet zone. Very good service. I would fly again KLM. Pas de soucis. I was just on a flight from Calgary to Amsterdam and they moved me to seat 19G. The seat in front of me had a box that took up half of the foot room. Accoding to the flight attendant all G seats have limited leg room due to the box mounted on the floor. They moved me to 30H without charging the extra $40 which was appreciated. I flew on this airline by families recommendations sfo to ams transatlantic non stop.They said that the seats are more comfortable on trans Atlantic flights. The were miss informed, the seats are so close to the seat in front of you creating a sense of claustrophobia even though I never experienced the symptoms previously comfort of the seat "No Beuno"
The most uncomfortable flight I ever had. Seats are thin and uncomfortable. 1/2 of the seats in each row have blocked legroom. Never again on this Airbus 330 with KLM. AVOID!! I paid $41.00 extra for this seat because it was "preferred seating" but it had no more legroom than standard economy. The passenger ahead of me reclined his seat fully and I couldn't adjust my screen enough to be able to see it properly. It isn't worth the money. Not a bad seat, close to the galley for snacks and drinks in between meals, and also close to the latrines. Agree with the other comments on legroom. There is a box taking up between 1/3 and 1/2 of the width of the seat in front. Fortunately being on the aisle it's not so bad as you can stretch out there, but not ideal. This seat / plane was very poor. There is a box the fills half of the available leg room. The TV is the smallest I have ever seen, KLM need to update this plane asap. You get a lovely view of the wing only. The economy seats are thin and uncomfortable. The legroom is bad and the flight was way too hot. Not a good trans-Atlantic flight experience. Seat 34A was a very good seat. The seat was aligned to the window. This is the first time I flew on KLM. The service and food were great. I am looking forward to flying KLM again. This seat was not worth the extra airfare. Seat was narrow and only more legroom because you are in the aisle. No room underneath. Miserable.